Hadouken: I think I never asked you, but do you remember how did you come to know Hadouken? Since the blog is written in Portuguese, I could have never expected that Hadouken could have foreign readers. Thomas Boecker: Frankly speaking, I am not entirely sure myself; it might have been through Twitter. 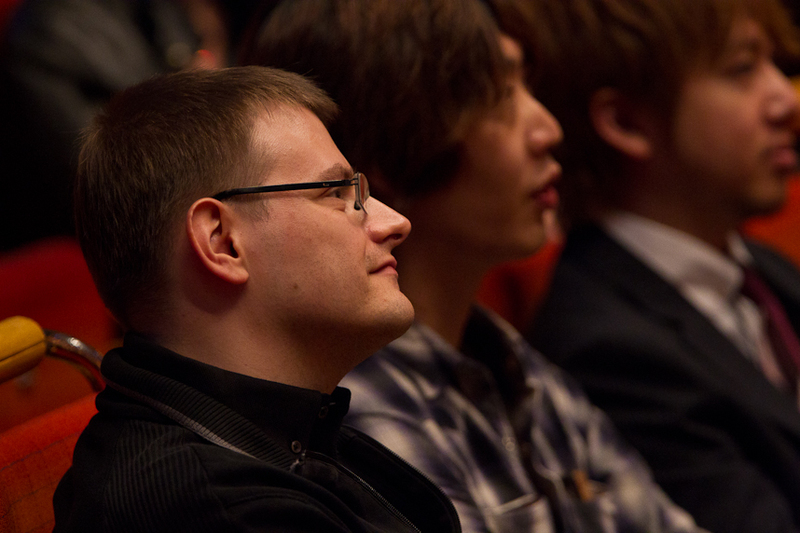 I often search the Internet for video game music related topics, including feedback and comments for our performances. It helps me to improve if I know what the general opinion is. This is how I found Hadouken, I believe. Google Translate does a nice job helping to understand your blog, even if it is written in Portuguese. Hadouken: How did you become a producer of game concerts? Was it something that you always dreamed or it suddenly happened? Talk a bit about the beginning of your career. Thomas: I think producer is a job only a few people have in mind when thinking about their career, or what they want to do as a profession. It can be hard for people to understand what a producer actually does, and what the duties are. Many think of the business related side only; legal aspects, financing and so on. In my case I was working as a journalist, while also having a passion for coding, movies and music, obviously. While I was studying drama in Leipzig (Germany), a group of people formed a community with the goal of discussing our artistic work, such as poems, short stories etc. At one point we decided to create a short movie based on one of those stories; Light at the end of the Tunnel, written by Stephan Hangleiter. That’s how it all started: while I was directing the movie many tasks came up in terms of filming permissions, the actual coordination of the project and so on. I liked it a lot, as it allowed me to be involved in both the artistic and the production side. In short, I grew into the profession of being a producer, and I honestly cannot think of a more interesting and rewarding job. Hadouken: You lived in Japan for one year. How did your interest in Japanese culture come up? What memories do you have from these days there? Thomas: We all have certain preferences for art, design, music, architecture, culture. When I was a kid, I was fascinated by robots, samurai, ninjas: basically all the cliches one can imagine about Japan. Nevertheless, from a young age it helped to motivate me to visit the country. So I decided to save the money to book a flight and go and experience it for myself. I don‘t want to get into pseudo philosophical chit chat, but when you are young and uncommitted, that’s the perfect time to take a chance and try something. I got my ticket and went to Japan – and it was as fantastic as I imagined it. On a business side, it helped me to strengthen relationships with companies such as Square Enix and SEGA. I think back to my time in Japan very positively. It was definitely one of the best – if somewhat risky – decisions in my life. Hadouken: Among many possible ways to arrange a game music track, what makes orchestral arrangements so special? Thomas: I love the sound of an orchestra – for me it is the highest form of musical appreciation. That‘s very subjective, needless to say, but it explains why I chose this path. I said it before, but the idea of having 70, 80 or more musicians, all having spent a lifetime learning to perfect their instrument, while giving their soul to interpret and perform what is written in the score, is very moving. Excuse the overused word, but yes, to me it has a certain magic. Hadouken: In interviews for Game Music Online and Gamasutra you said that the Orchestral Game Concert Japanese series inspired you to produce Symphonic Game Music Concert series in Germany. Mario and Zelda arrangements from OGC were performed in the SGMC series thanks to your fellow Nic Raine that transcribed the scores, since the originals were lost. What is your favorite track of the five albums? Thomas: As much as I love the series, it was always my goal to do our own arrangements. Using those OGC arrangements was a way of showing respect to where the inspiration came from originally, and it helped to orientate ourselves to what we wanted to do, but we had to find our own direction. There are many fantastic works, but I think what impressed me the most back then was the Final Fantasy VI Opera, because it dared to try something innovative. 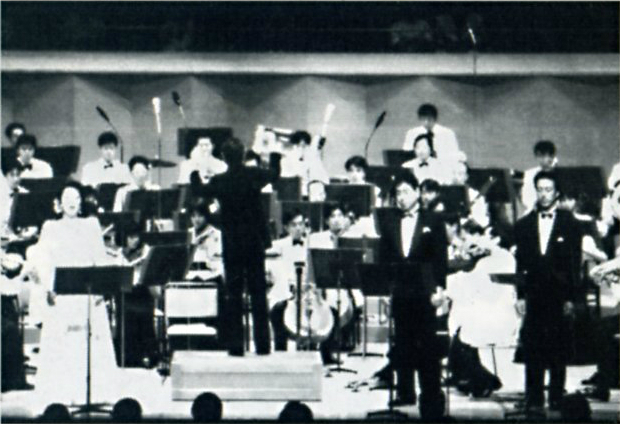 Certainly, the concert series wasn‘t known for its love of experimentation, but what it does – the so-called traditional method of technically skilled orchestration – is done wonderfully. I prefer it over the majority of the modern video game music concerts today. 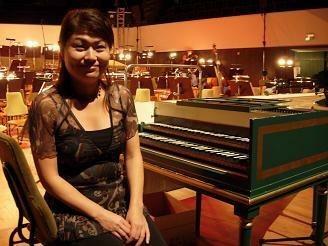 Hadouken: That amateur shooting published on YouTube and later removed, with Michiru Yamane playing cembalo on “Wood Carving Partita” in Fourth Symphonic Game Music Concert helped to popularize your productions in Brazil, since we could only see pictures of the Leipzig concerts. How did you get the idea to call her to perform the music live? This was also one of the last times that you invite a composer to participate in the performance. Do you intend to do this again in the future? Thomas: Honestly, I think the concept of our concerts has changed to a point where it would be tricky to invite composers to participate again. Back in Leipzig, it worked very well indeed; we also had Takenobu Mitsuyoshi performing with us. Today I am not sure if our productions could benefit from it, as we feature mostly longer pieces, such as symphonic poems. I guess I prefer another approach these days, where the composers get involved by giving an insight on their work – in pre-concert talks for example. The whole original idea for “Wood Carving Partita” developed from talking with Michiru Yamane. If I remember correctly, she suggested it herself, and I was very happy about such an offer. Later, she also performed on the famous pipe organ of the Gewandhaus, which was another highlight of our series in the Leipzig days. Hadouken: You were production coordinator of game soundtracks recordings, like World Club Championship Football and Dragon’s Dogma, besides albums such as Vielen Dank and drammatica. How do the companies look for the Merregnon Studios? How does this process work? What is the difference between this work as coordinator and your role as concert producer? Thomas: Most of it is indeed based on contacts I made through concert productions. The main difference is definitely the amount of freedom of choice. That means for productions such as drammatica I was just hired to coordinate, but for Final Symphony, I‘m basically making all decisions myself together with Jonne Valtonen and Roger Wanamo. I must say that I love studio recordings, and every time I get the chance I am eager to go do one. 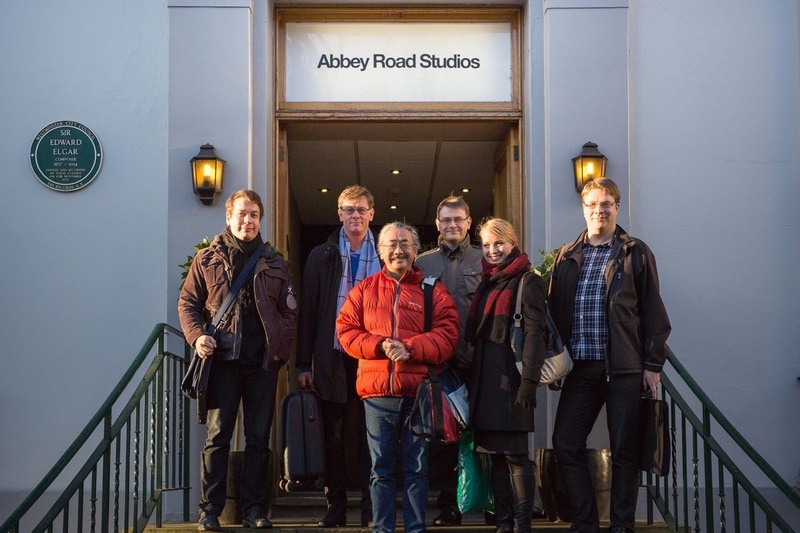 With our latest recording at Abbey Road Studios with the London Symphony Orchestra I think I achieved my biggest goal in terms of that. Hadouken: How does the music licensing deal is made with a game company to produce the concerts? Thomas: This differs quite a bit depending on the company, and also what kind of concert one has in mind. Hence there is no standard procedure. Some companies are more interested in getting involved in the arrangement process, others allow a lot more freedom. It all starts with contacting the companies with a clear proposal, and from there negotiations develop about the details of the possible deal. Hadouken: What criteria do you use to choose the tracks? Do arrangers also help choosing the tracks? Do game companies offer some CDs with the original tracks or do you have to look for them on your own? Before making the arrangements, do Jonne Valtonen and Roger Wanamo listen to other arrangements performed in other concerts or albums? Thomas: We do months of research on each game, watching YouTube walkthroughs, reading reviews, comments etc. – and in case we don‘t know the games, needless to say, we play them. That is indeed the way we’ve been working since Symphonic Shades. It makes a difference, as one gets the feeling for the game, the pacing, and also which tracks play the most and how this might make a special impression with the player. You can‘t really know this by just listening to the CDs. It is a vital part of our productions. From there we all make notes on which tracks we like. So it‘s team work; everybody can bring in their thoughts and ideas about favorite tracks. I would never force certain music into an arrangement – I trust Jonne and Roger enough to know that they will do a great job. Usually we have to source the music ourselves. The arrangers then transcribe the original music by ear, note by note. I remember that in the beginning of our work, we did listen to some of the other orchestrations. However, we later gave up on this. It didn‘t really help, as our approach is so different. Hadouken You are a fan of The Legend of Zelda since your childhood and continued to play the games of this series after you became a concert producer. Did this fact help in any way the production of the Zelda arrangements? Do you ever have ideas for arrangements while playing? Thomas: Yes, it helps without a question, as one knows immediately which tracks are important. As a recent example, when I played Skyward Sword and watched the events right at the beginning, the Romance Theme was played, and I was impressed by it. I knew that if we do another concert this should be a part of it! Last year it was performed by the London Symphony Orchestra, at Symphonic Legends London. Hadouken: Talk about your routine work when the arrangements are produced and how you communicate with arrangers Jonne Valtonen and Roger Wanamo in Finland. Thomas: As previously mentioned, at first it‘s all about doing research. From there, we talk about the possible directions we could go with the concert arrangements. What do we want to achieve? Where could we possibly get inspiration from? What form should the new arrangement be in? Once this is done, the arrangers work by themselves, contacting me via e-mail and ICQ to share their work-in-progress using the notation software Sibelius. We’ve been doing it this way for many, many years now. I want to give the team a certain direction, something I envision with the projects – after all, I am the director and the producer – but the thing is, I trust Jonne and Roger 100%. They are masters of their art, hence they deserve their freedom. If there are questions, or if they wish to know my opinion, I am there. Hadouken: Despite the fact thar both Jonne Valtonen and Roger Wanamo have studied in the same musical school in Finland, they have different musical styles. How do you compare the styles of the arrangers? How do you decide what games each of them will arrange? Thomas: Generally I tell Jonne and Roger what the next project will be – and what music is involved. They can then decide between them what to work on. In a way, Roger’s work is a bit more traditional, while Jonne uses more contemporary elements. However, over the years I’ve learned that they can both adjust to what‘s needed, so it’s probably not correct to say they have only one style. 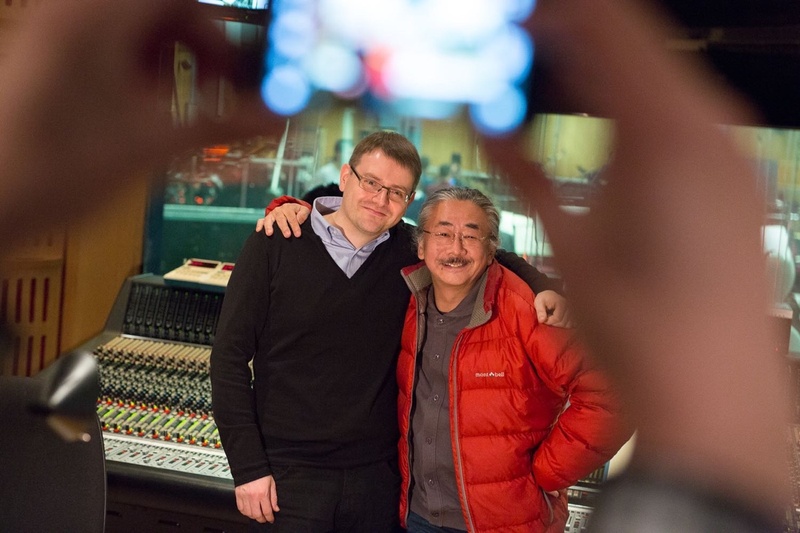 Hadouken: In an interview to Musica Ludi website, Jonne Valtonen said that initially he didn’t want to arrange “Waterside” for Symphonic Odysseys because he already had made the piano arrangement of the same track for Benyamin Nuss plays Uematsu album. When a track which has already been arranged by someone of your team is needed in a new arrangement of the same track, do you prefer to use a different arranger? How do you deal with this? Thomas: It really depends. In this example I loved Jonne’s work, and I knew it would be a nice challenge for him to think of the same piece differently. It worked out perfectly, in my opinion, as I count his arrangement for Symphonic Odysseys as one of his very best. Hadouken: Are the arrangements made in the same order of the concert playlist? When the same arranger is chosen to do more of one segment, does he only begin the next arrangement after having finished the first one? Has any of one of the arrangers ever gotten stuck in some arrangement and couldn’t get ideas to continue the arrangement? Thomas: The arrangers work on whatever title they feel comfortable with; they don’t follow the playlist. In fact, the playlist is usually changing up until the very last second, so it wouldn’t be a good idea to use it as a guide. Sometimes they work on two or three arrangements at once, because whenever they run out of ideas on one they can continue with the other piece, with the idea being they can find a solution for the other score as they go. I don‘t remember that we‘ve ever had to give up on an arrangement entirely, but certainly we’ve had to delete sections of music because they didn‘t work in context with the concept we made. Hadouken: Some choir arrangements by Roger Wanamo and especially by Jonne Valtonen were very acclaimed through the years. Some original tracks they arranged didn’t have choir, or something similar to a choir, like X-Out, R-Type and Secret of Mana. In these cases, how do you come up with the idea to do the arrangements including choir? Do you suggest the use of choir or do the arrangers always have the idea? What’s the importance of the lyrics? And how do you choose the language of the lyrics? Thomas: Latin is usually a good choice, as it has a very natural sound that blends with the orchestra, and as choirs are used to it, it makes the rehearsal process easier. The lyrics are certainly important, and we take this part seriously, working with language experts. Again, it‘s mainly the job of Jonne and Roger to decide if we use a choir, but there are obvious situations, for example, when the original music features choir sounds already. I guess it leads us back to your question in the beginning about the producer’s job. It is important to find people you trust. Certainly I send the arrangers my ideas, and some of them will be used, but I don‘t insist these happen though. Hadouken: Through photos and videos it is possible to notice that frequently the arrangers Jonne Valtonen and Roger Wanamo attend the rehearsals. What kind of help do they offer in the rehearsals? How do all of you reach a consensus about the best way to perform the score? Who gives the final word: you, as the producer, the arranger, the conductor or the original composer (when involved in the project)? Thomas: They attend all of the rehearsals, as their feedback is required. Particularly when the arrangements are new we often get questions from the conductor or the musicians, so they are with us to support and to ensure the music is performed as they envisioned it. I think it all comes down to team work again; every person has certain duties and is responsible for them. As I am the producer, it is me who has the final word, without question. But I‘m surrounded by masters of their art, experts who know what they are doing, so I don‘t see any reason to force my opinions on them. Of course, sometimes an entirely subjective decision has to be made on the aesthetics of performances, which is when I will make a call based on what I want for the concert and how I see it in the big picture. However, since I’m involved in the arrangements from the beginning, those decisions are usually made early in development, particularly as opportunities for big changes during rehearsals and concerts are somewhat limited. Hadouken: What kind of game music do you and the arrangers prefer to work with? Chiptune music, as in 8-bit games, synthesized music, as in 16-bit, or already orchestrated original soundtracks as in newest game systems? Are there differences in the process of arranging each kind of music? Thomas: I think we love 8-bit and 16-bit music the most. I’ve learned that due to the limitations with the sound chips back then, the composers had to concentrate on clear melodies. Hence it makes it easier today to use those compositions in orchestral arrangements. If the music is orchestrated already, it leaves less opportunities to work with the material – and then fans have a certain expectation to what it should sound like. It is a challenge, and I think a good example of how you can work with it is the Super Mario Galaxy Suite from Symphonic Legends, which sounds familiar, but still uses a lot of Roger’s own ideas. Hadouken: What are the characteristics of a game track that make it difficult to orchestrate? Did you ever give up on any tracks that in the end couldn’t fit an orchestra? Do you think that there are some game tracks that are impossible to be orchestrated? Thomas: I think you can arrange any game track – the question is always: is it still recognizable? Is it worth the effort if it becomes too hard to figure what music is playing? For me personally, I always think that a lot of Turrican’s music is some of the hardest to arrange for orchestra. That‘s not because the original music is bad – it just was never made with the idea in mind that it could be performed by an orchestra one day. If it gets too much into pop, I believe it starts to become a real challenge for any arranger. 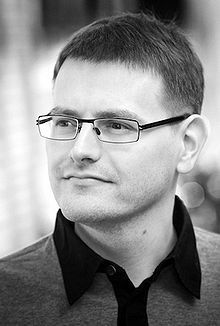 Chris Huelsbeck is a good example of a composer with diversity though, while Turrican might be hard to arrange due to its style (which, incidentally, fits well with the game), he also composed for titles such as X-Out and R-Type, which sound spectacular, especially when arranged for orchestra and choir. Personally I find that music written for role playing games makes a great choice for orchestra arrangements, as it brings a whole variety of themes and different moods. You have the perfect material there for telling stories through the music, in concert. Please check the second part of this interview.